One things most companies love to do is brag about how big their presence on social media 11 Simple Steps For Successful Social Media Giveaways 11 Simple Steps For Successful Social Media Giveaways Social media giveaways are a proven way to increase your page likes, interaction, followers, and the size of your mailing list. But what steps should you follow to ensure your giveaway is an astounding success? Read More is. Whether it’s a massive Facebook page, an impressive Twitter following, or Instagram 10 Cool Tricks to Help You Use Instagram Like a Pro 10 Cool Tricks to Help You Use Instagram Like a Pro We're always covering the best awesome Instagram tricks and ideas. But I'm offering you ten tips and tricks I found that will specifically help turn you into a professional on the social network. Read More fans that get excited about every image, social media is important to businesses. Which brings us to our purpose today: a look at which car companies Why Can't We Buy a Self-Driving Car Yet? Why Can't We Buy a Self-Driving Car Yet? Of all the technological changes we have to look forward to, one of the most exciting is self-driving cars. Read More make the biggest waves on social media. 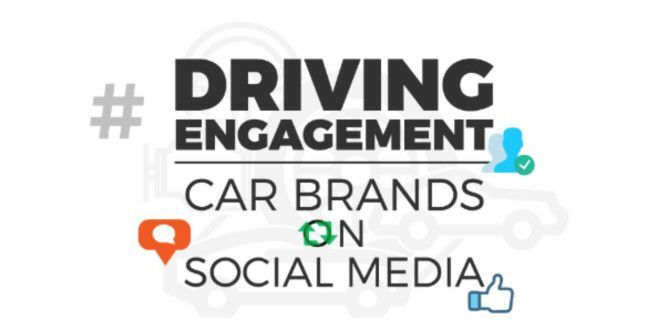 Does Toyota have the most Twitter followers? Does Nissan 6 Electric Cars You Can Actually Afford 6 Electric Cars You Can Actually Afford Think you can't afford an electric car? Wrong. These six cars show how affordable electric cars have become. Read More rule Instagram? Which company has the biggest fan base on all major platforms? Those are just the questions the infographic below covers! "Most popular on social media" does not translate into most owned or most satisfied with. In fact, the title is misleading. No differentiation is made between positive and negative mentions.. For all we know, most of the comments about any car could be of the "What a piece of junk!" variety.